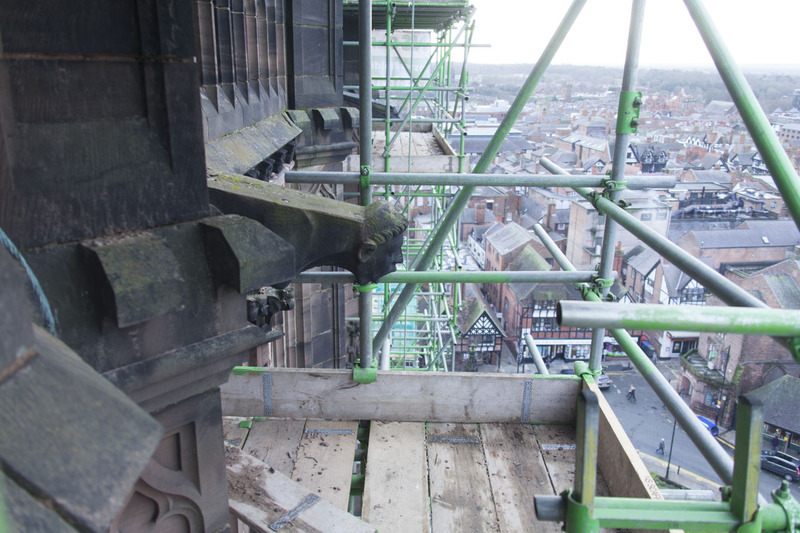 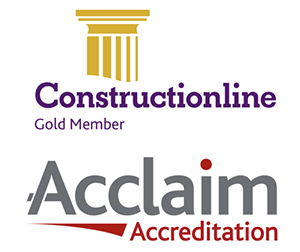 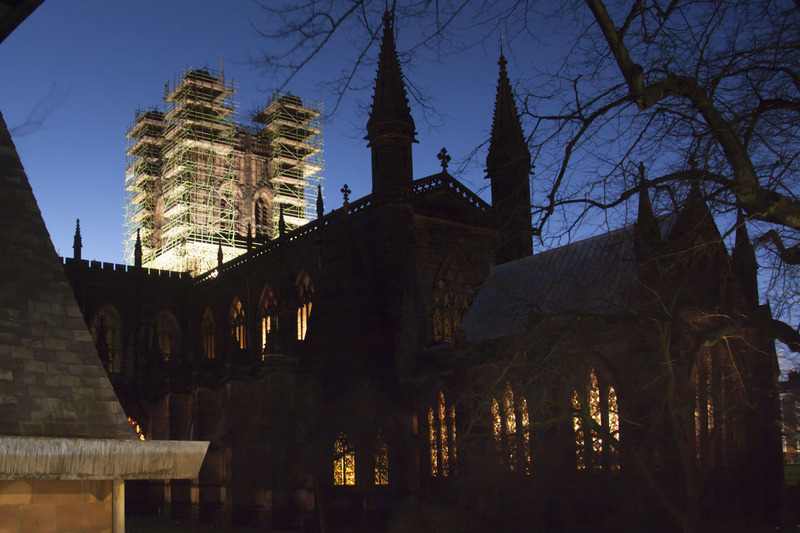 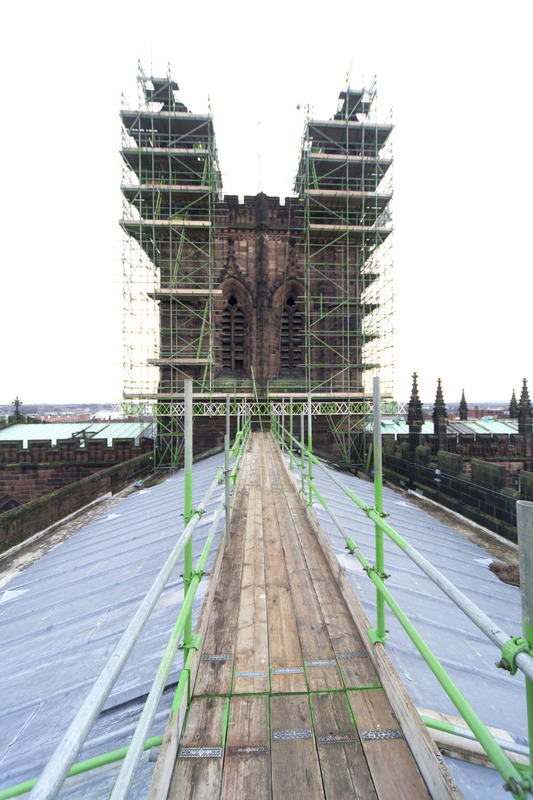 Our work at Chester Cathedral has gone to new heights. 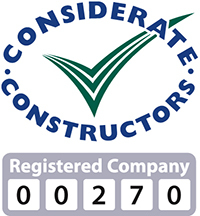 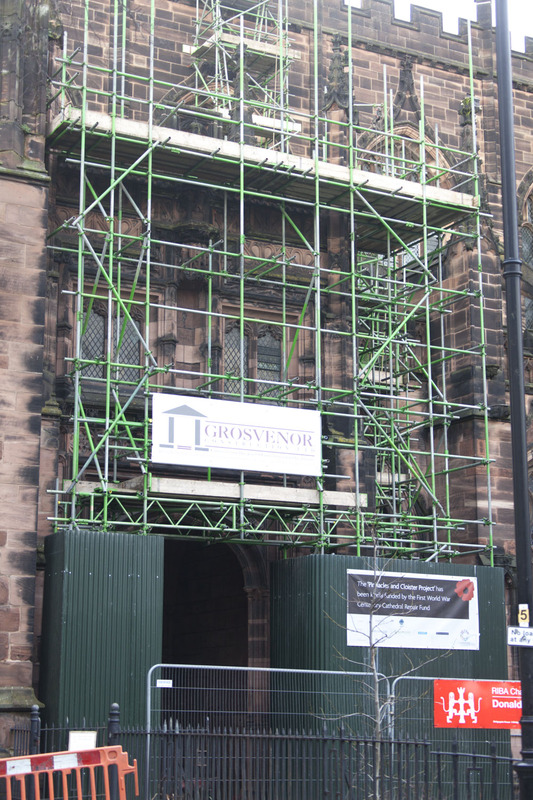 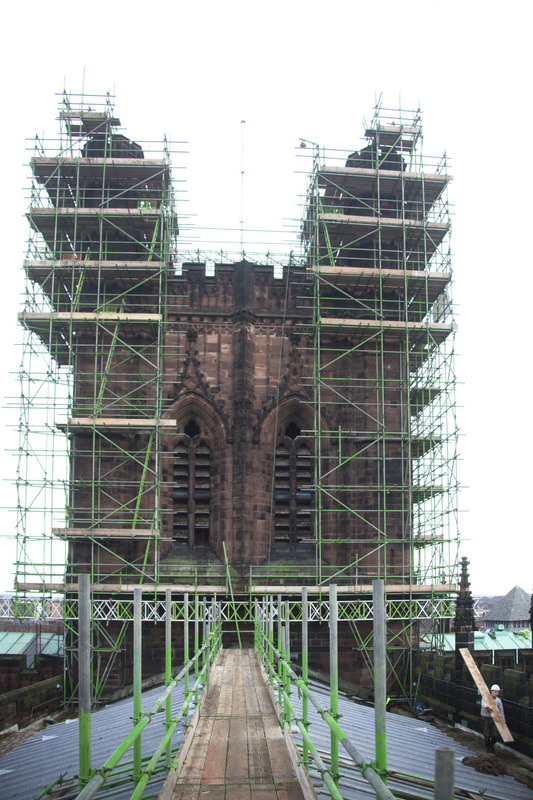 Grosvenor have been working on one of the principal landmarks in England – the tower at Chester Cathedral. 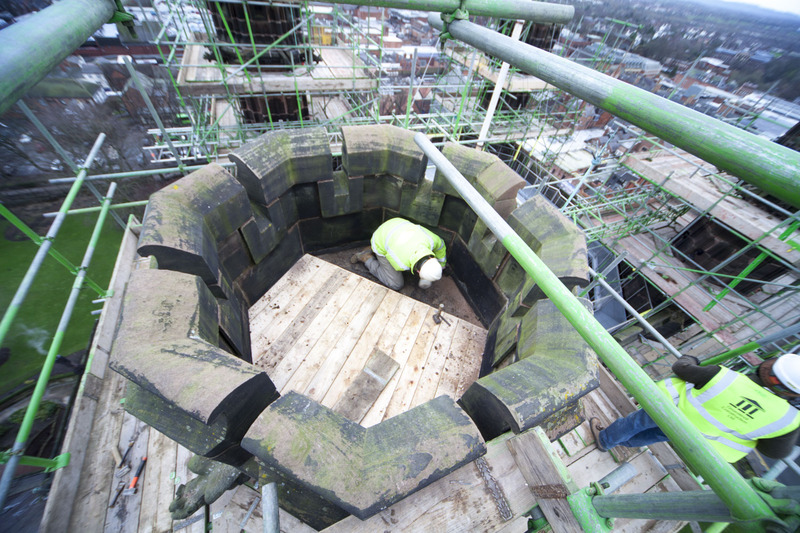 Conserving the stone is the prime aim – including re-carving beautiful details that give the tower its presence. 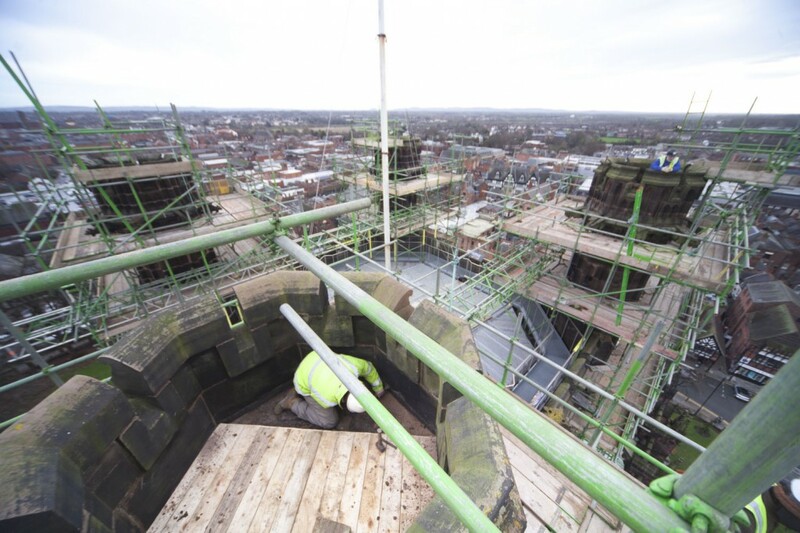 Here are some dramatic shots of our work and the views beyond. 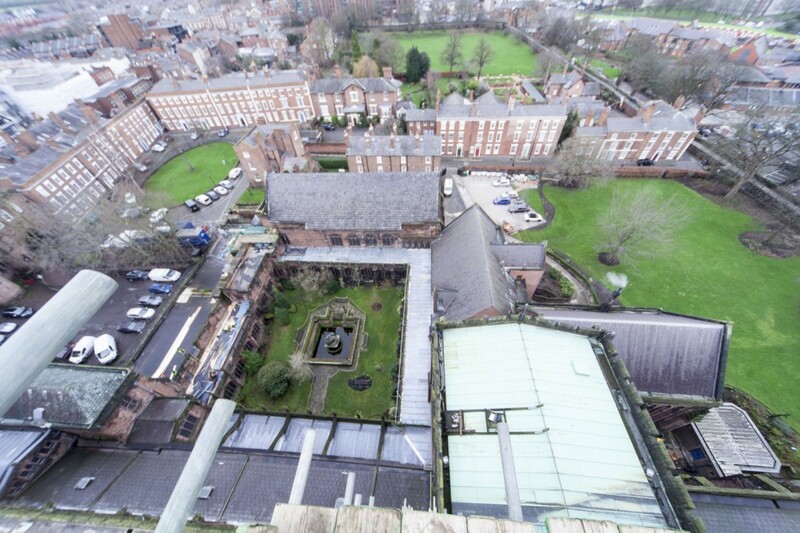 Not for the faint hearted.